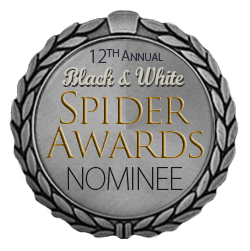 LOS ANGELES October 20, 2017 – Professional photographer Luigi Barbano was presented with the 12th Annual Black and White Spider Awards Nominee title in the category of Nature at a prestigious Nomination & Winners PhotoShow streamed Saturday, October 14, 2017. The live online gala was attended by over 11,000 photography fans around the globe who logged on to watch the climax of the industry’s most important event for black and white photography. 12th Annual Jury members included captains of the industry from The Armory Show, New York; Christie’s, London; McCann, Singapore; GQ, New York; Hot Docs Film Festival, Toronto; Y&R, Malaysia; Sharon Calahan, Pixar Animation Studios, Emeryville; Bloomsbury Auctions, London; and Donald Schneider Studios, Berlin who honored Spider Fellows with 672 coveted title awards and 1034 nominees in 31 categories. All the five images are realized with a Fuji XPro1 converted to Infrared with a 720nm filter.